It’s a kids’ world at Swensen’s. 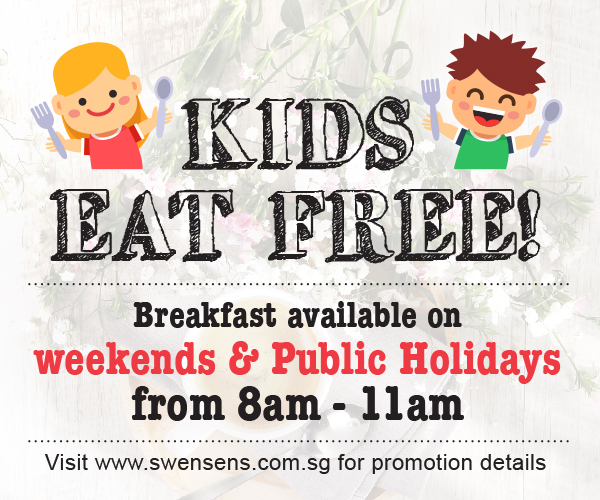 Children 4 – 12 years enjoy FREE breakfasts during weekend breakfast hours! One complimentary Kid’s Breakfast comes with every adult Breakfast Set ordered. T&Cs apply.